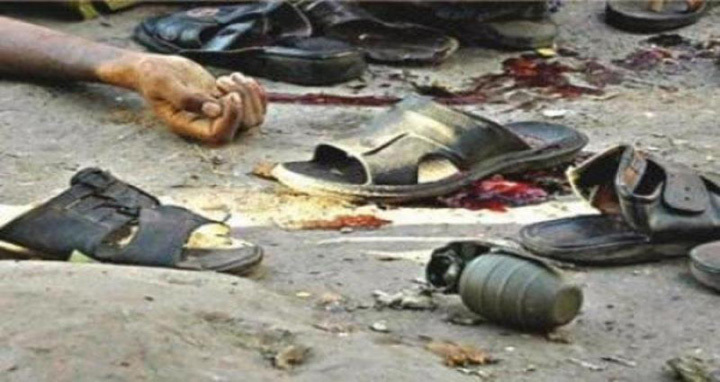 Dhaka, 17 September, Abnews: The prosecution in the August 21 grenade attack case today concluded its part of arguments, drawing an imminent end of the two cases lodged over the monstrous attack that took place in 2004. “Chief prosecutor Syed Rezaur Rahman concluded state arguments today. Defence counsels advocate Mainuddin and advocate SM Shahjahan then placed arguments on legal points and rebuttal and it is expected that the defence would conclude their part of arguments tomorrow,” prosecutor Mosharraf Hossain Kajal told BSS. The senior prosecutor said the prosecution would place rebuttal on defence arguments tomorrow and the Dhaka 1st Speedy Trial Tribunal, which is holding the two cases, one for murder and another lodged under explosive substance act simultaneously, is expected to set the date to pronounce judgement after that. “The conspiracy over the attack was hatched in 10 places including Tarique Rahman’s notorious Hawa Bhaban. Total 15 Arges grenades were used in the attack, of which four were recovered unexploded. But the authorities without bothering to take the permission of court, destroyed those important evidences,” Chief Prosecutor Syed Rezaur Rahman said in his arguments today. The senior jurist pleaded to send eight accused who are on bail in the cases, to jail after scrapping their bails as the verdict in the cases is imminent. He also submitted copies of 25 dailies that carried reports on August 21 grenade attack. With today, the prosecution placed arguments on legal points for three days. Hearing of the cases was held for 118 days with today, of which 89 days were taken by the defence. A total of 24 AL leaders and workers including the then Mohila Awami League President and wife of late President Zillur Rahman, Ivy Rahman, were killed and 500 others were injured in the monstrous attack that took place on August 21, 2004. The total number of the accused in the cases is 52. Of them, three including Mufti Abdul Hannan have been executed in other cases and their names have been dropped. Of the 49 accused, 18 are yet to be arrested and being tried in absentia.